The 2019 Colorado ZR2 Bison is Chevrolet’s newest entry in the off-road truck market. 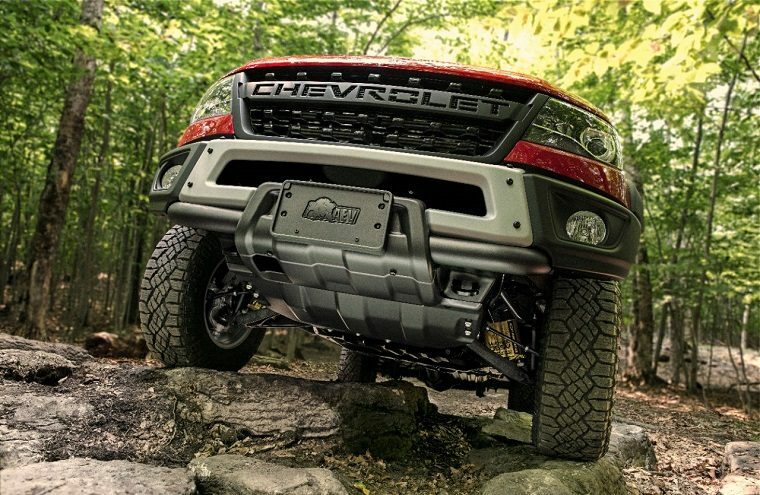 The ZR2 Bison was developed in partnership with American Expedition Vehicles, which specializes in aftermarket off-road equipment. It goes on sale in January. The Bison adds to the regular Colorado ZR2 with distinctive features that will allow for even tougher off-road performance. These features will include five skid plates made from hot-stamped Boron steel, a front stamped-steel bumper with fog lights and winch provisions, and a rear stamped-steel bumper with integrated recovery points. Built with larger fender flares, the Bison will also sport 17-inch aluminum wheels and 31-inch Goodyear Wrangler Duratec off-road tires. The ZR2 Bison will offer some unique design elements as well. Instead of the normal Chevy bowtie logo, the Bison will have a flow-through grilled with “CHEVROLET” lettered in uppercase. “Bison” decals will be affixed to the bed sides, and an “AEV Bison” logo will be on the tailgate. Inside, the floor liners and front head restraints will feature embroidered AEV logos. The introduction of the ZR2 Bison follows 2017’s debut of the Colorado ZR2. The ZR2 features an Autotrac transfer case, cast-iron control arms, front and rear locking electronic differentials, Multimatic DSSV dampers, and off-road rocker protection. It comes with a 2.8-liter Duramax Turbo-Diesel engine that puts out 186 horsepower and 369 lb-ft of torque.